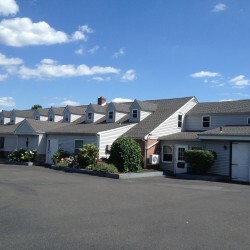 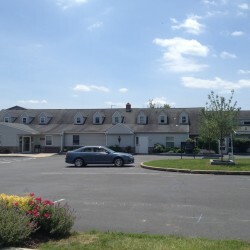 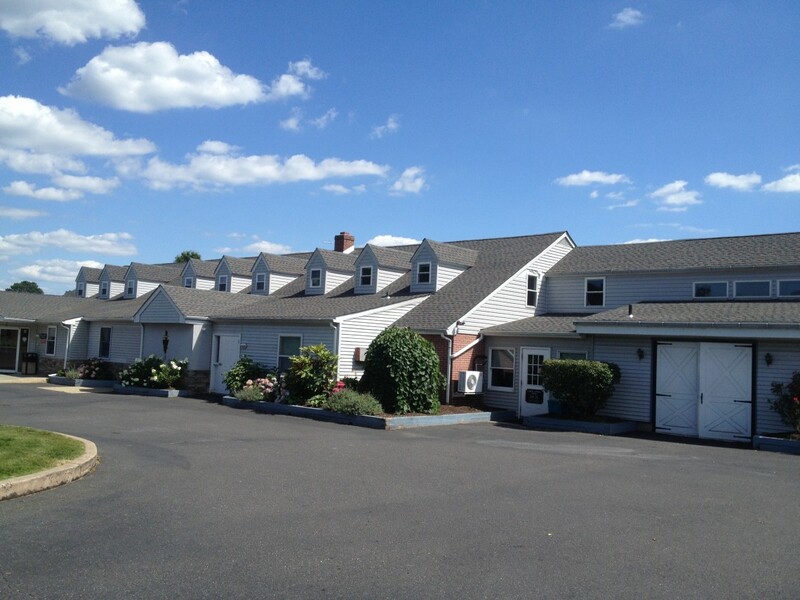 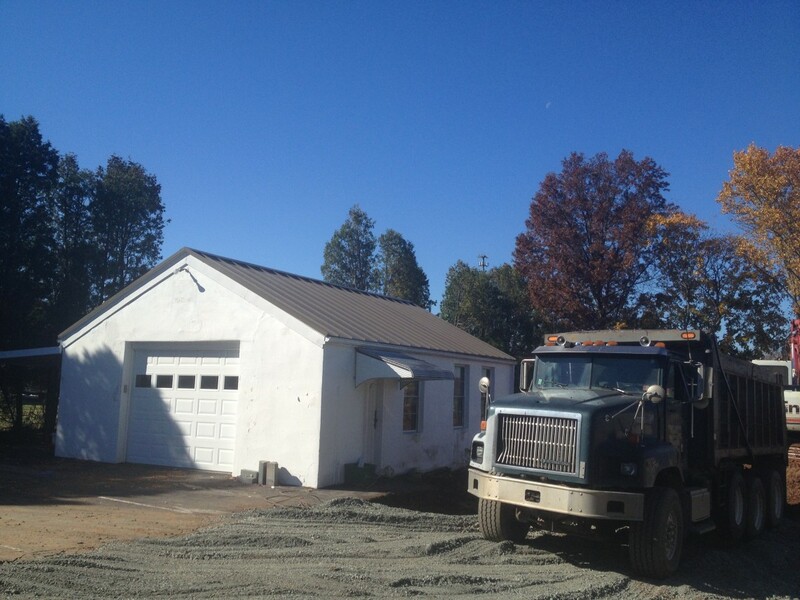 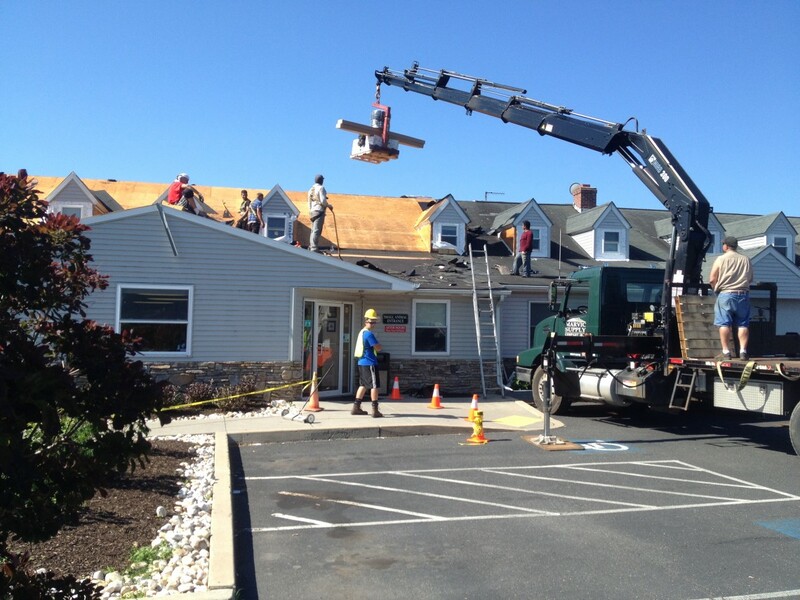 Commercial roofing project - Quakertown Veterinary Clinic. 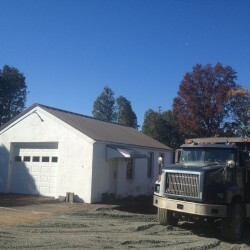 During the project safety was paramount as the facility is open 24 hours a day. 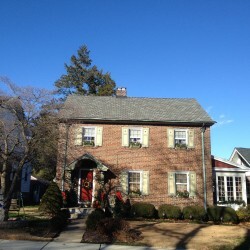 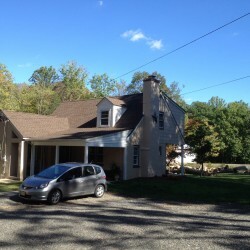 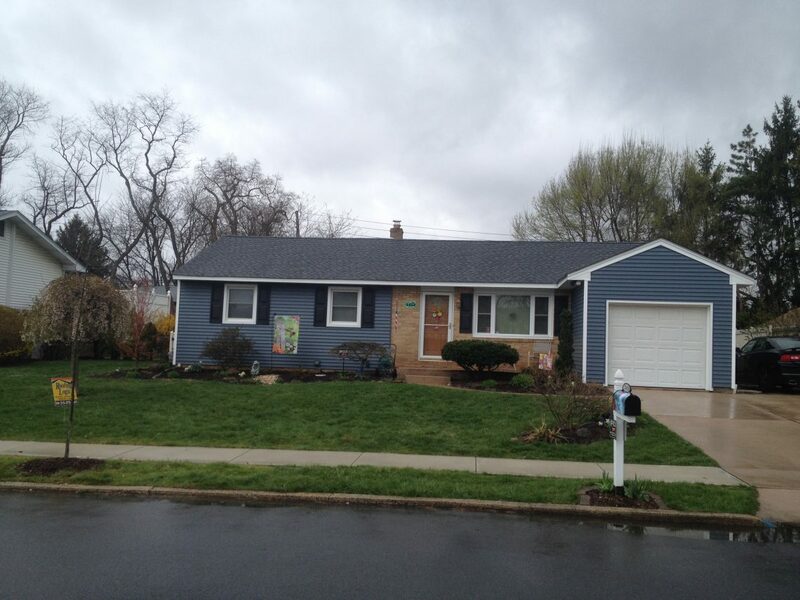 The finished product is a Williamsburg GAF Timberline HD shingle. 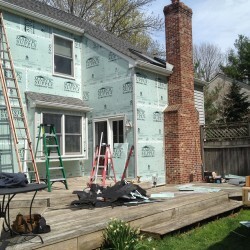 During the project we used a tyvek wrap and exterior insulation. 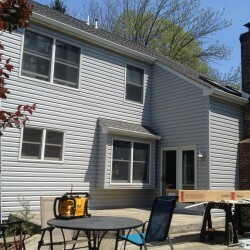 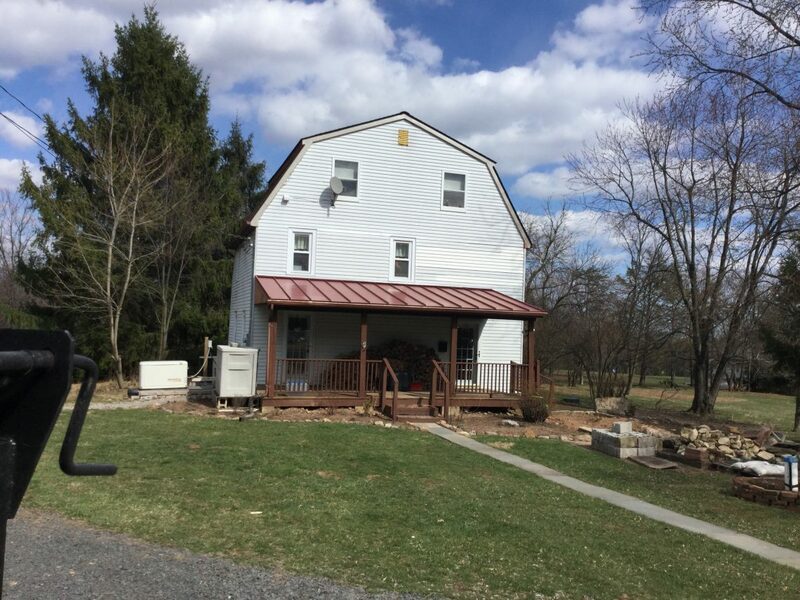 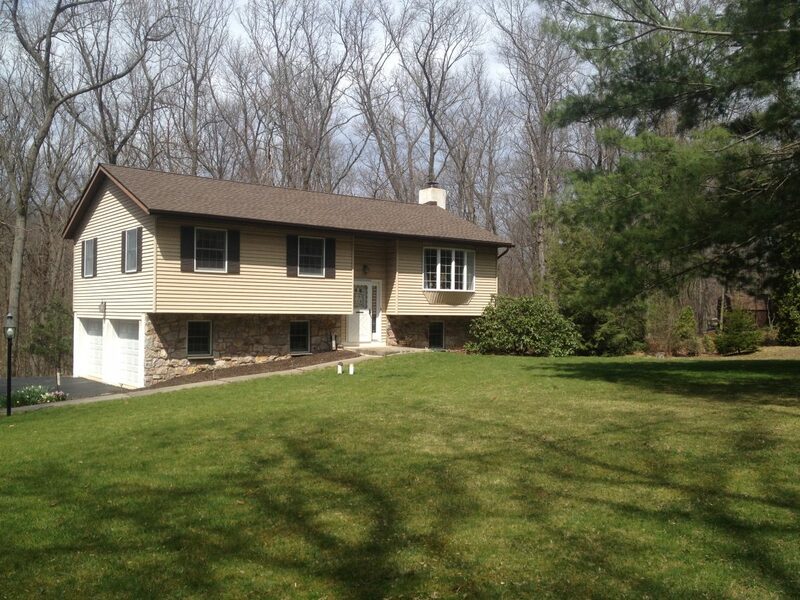 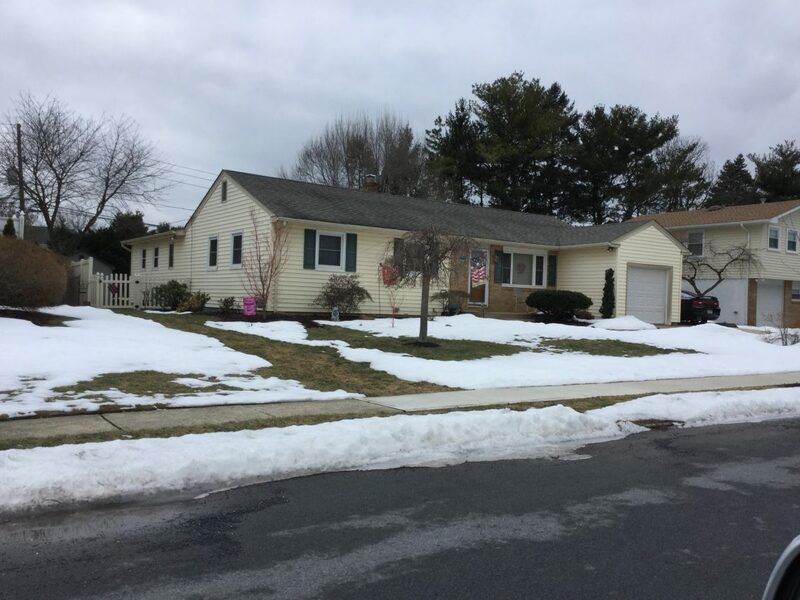 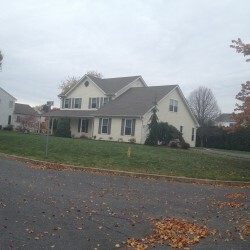 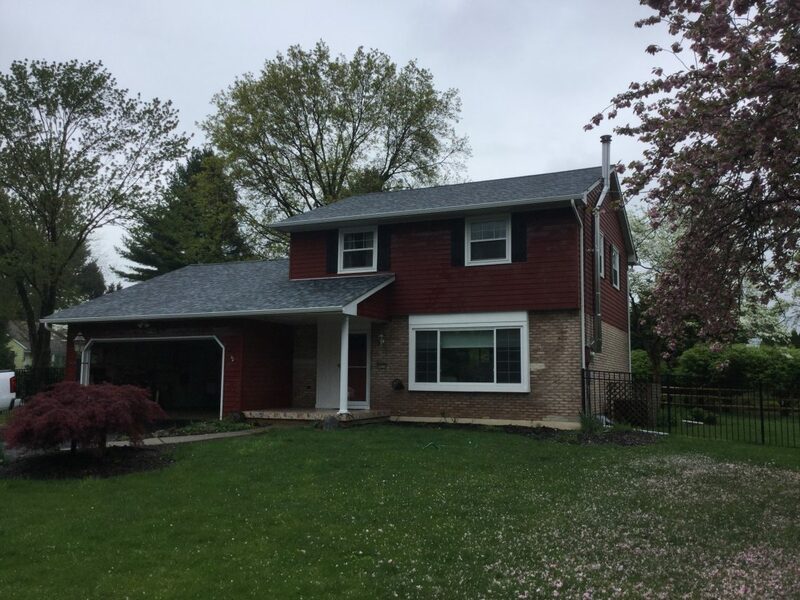 Doylestown Split Level in Weathered Wood GAF Timberline HD. 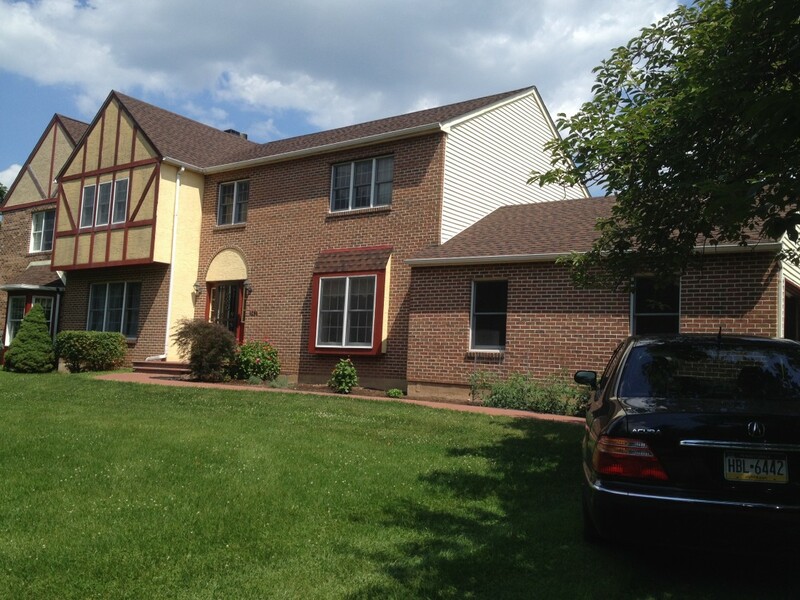 This color really brought out the brick and siding. 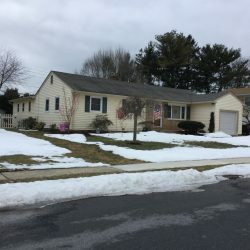 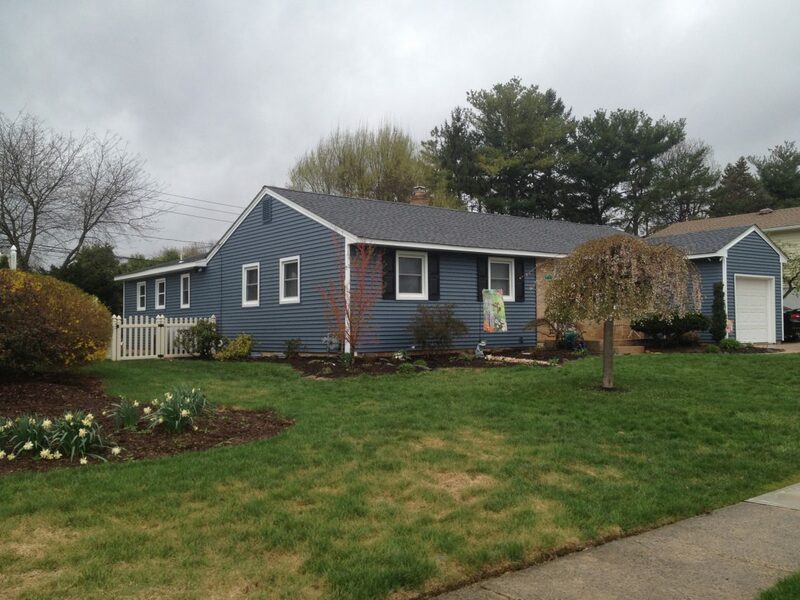 Quakertown eclectic Cape with Gambrel Garage.. 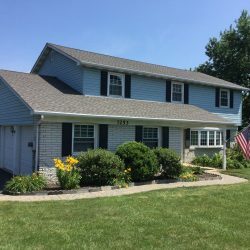 I forgot to take a before photo of this project, but the Biscayne Blue GAF Timberline HD really brought out the yellow siding and blue shutters and totally increased the curb appeal of this house. 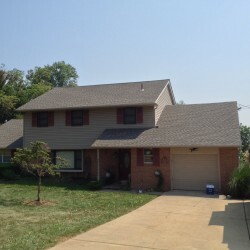 This is a perfect example of the value of a new roof to add curb appeal to your home. 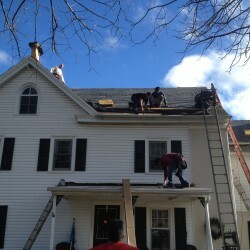 New roof in GAF Timberline HD shingle in Hickory. This is a great slate alternative. 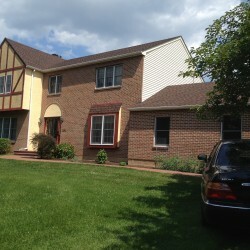 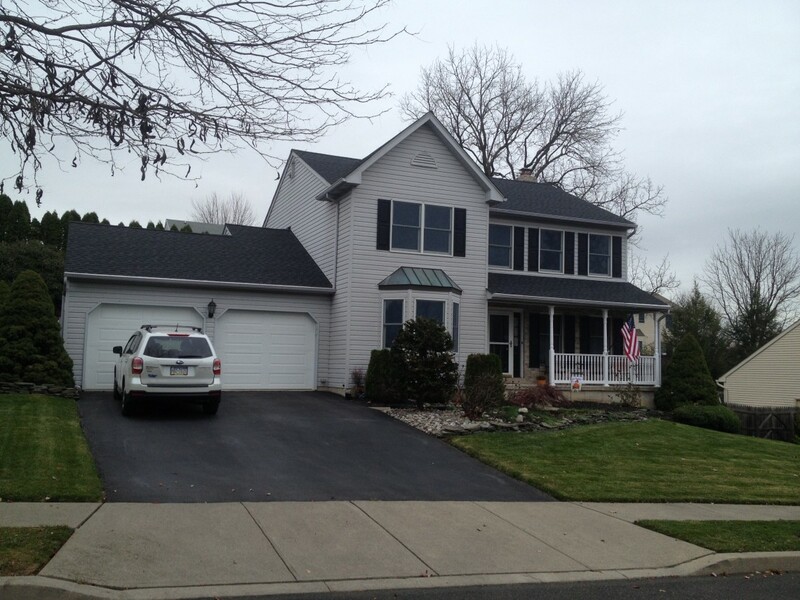 We removed the damaged slate and replaced it with Certainteed Highland Slate in Smokey Quartz. 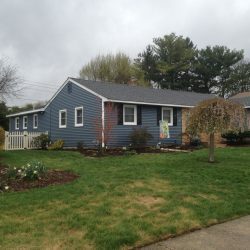 This creates an identical appearance or Natural Slate at a fraction of the cost! 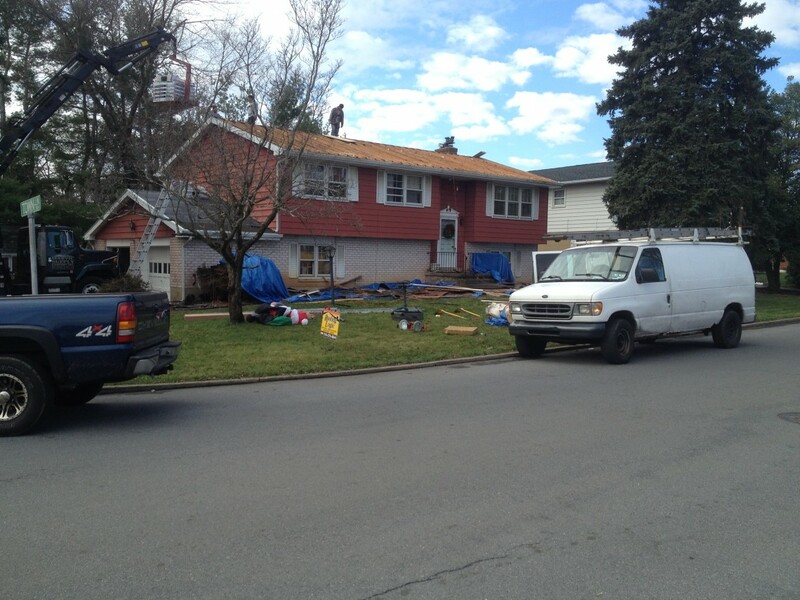 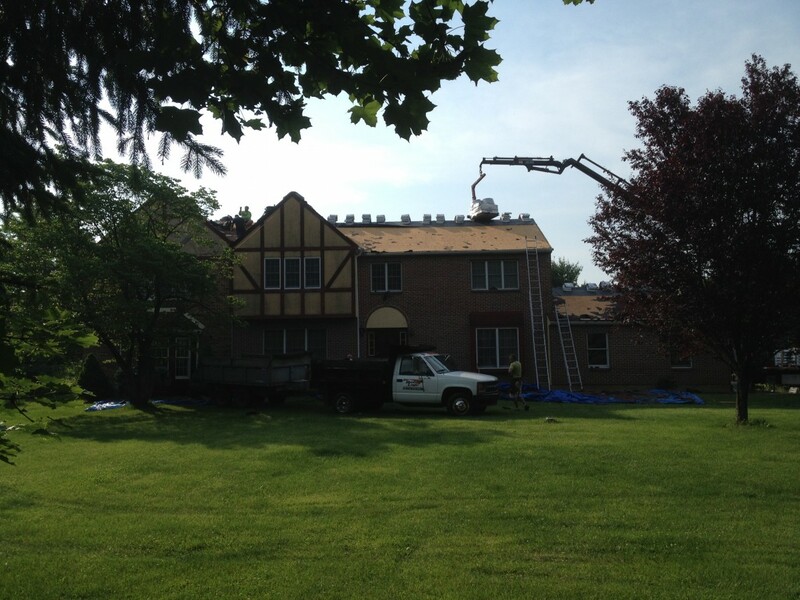 Lehigh County Roof Replacement. 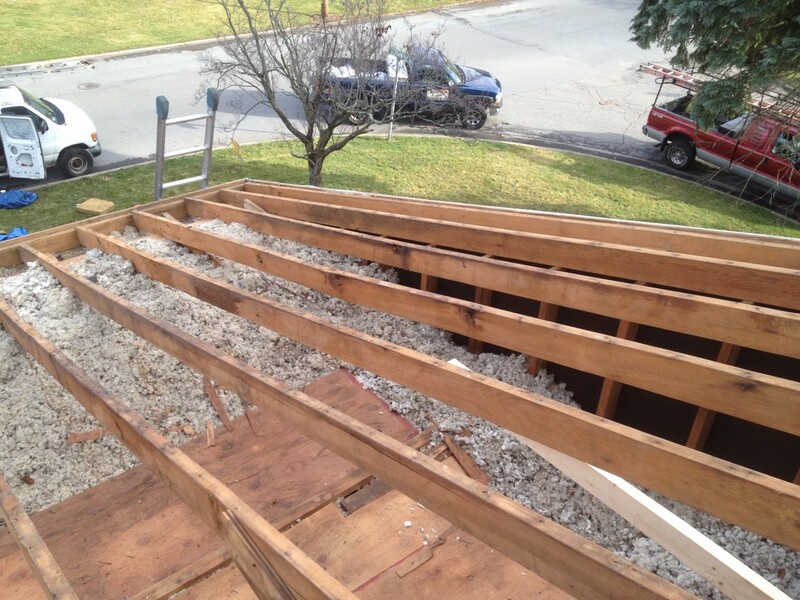 Completely removed and replaced all plywood on this project. 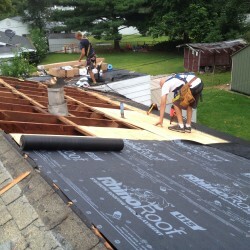 In addition we had to reinforce all the rafters. 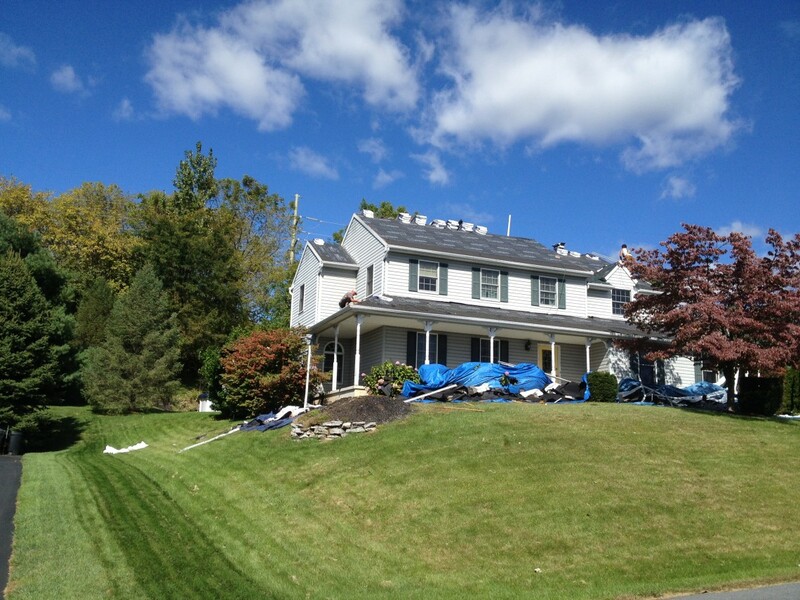 Hail Damaged Duplex in Northampton. 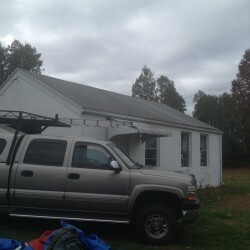 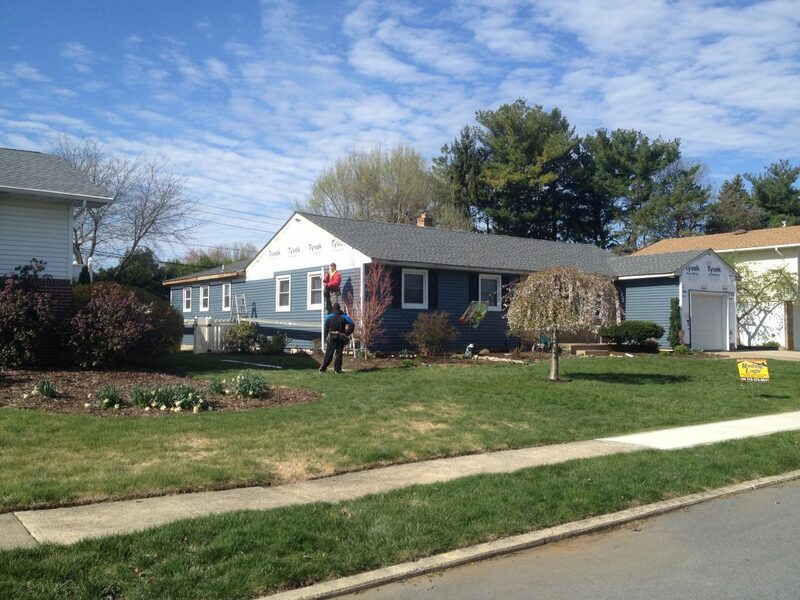 In this project we had to remove and replace both roofs, siding on both houses. 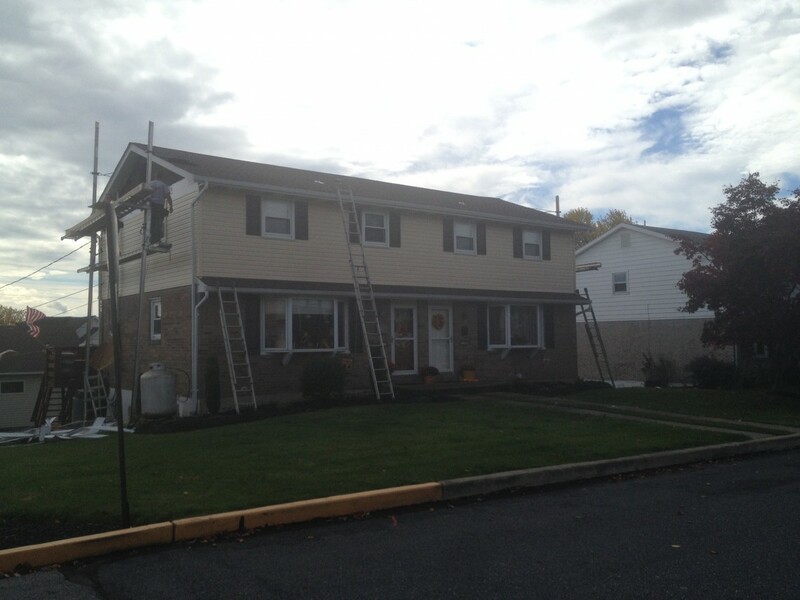 We also installed gutters and downspouts. 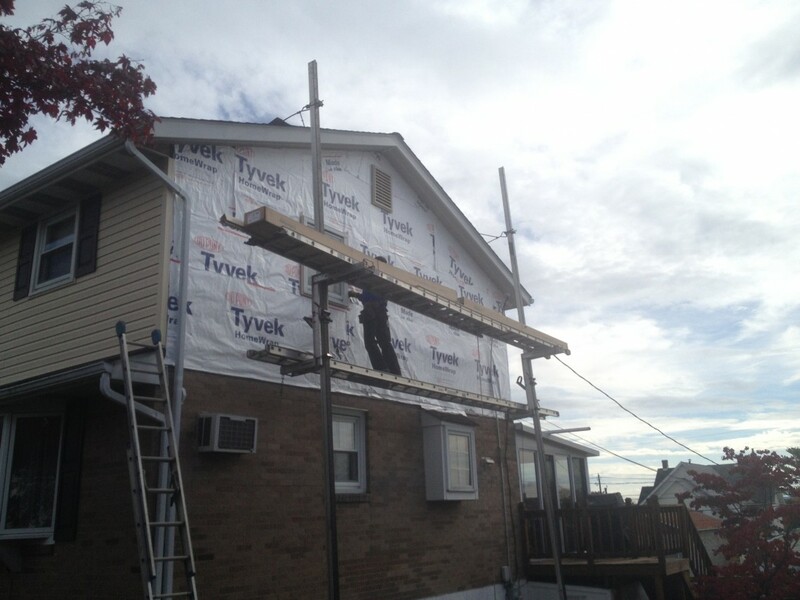 Finishing up the siding with a Tyvek wrap for wind protection. 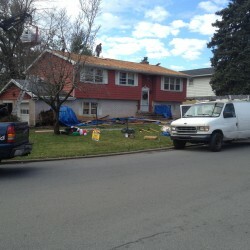 Roof replacement in North Wales. 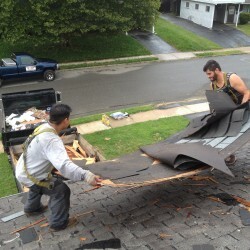 Sometimes we need to use our Equipter. 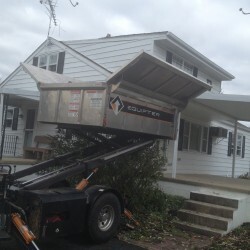 This is a great machine for protecting shrubs when you are in tight spots, as you can see. 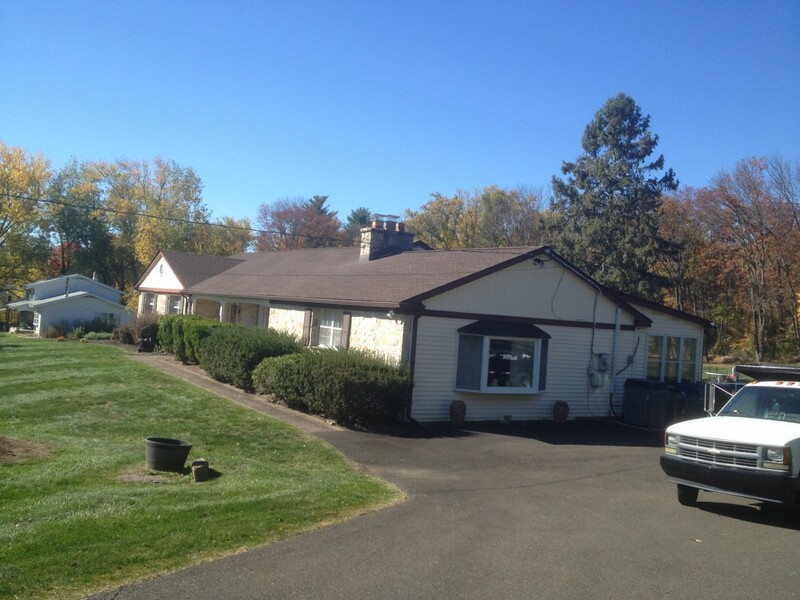 Nice ranch with hip roof. 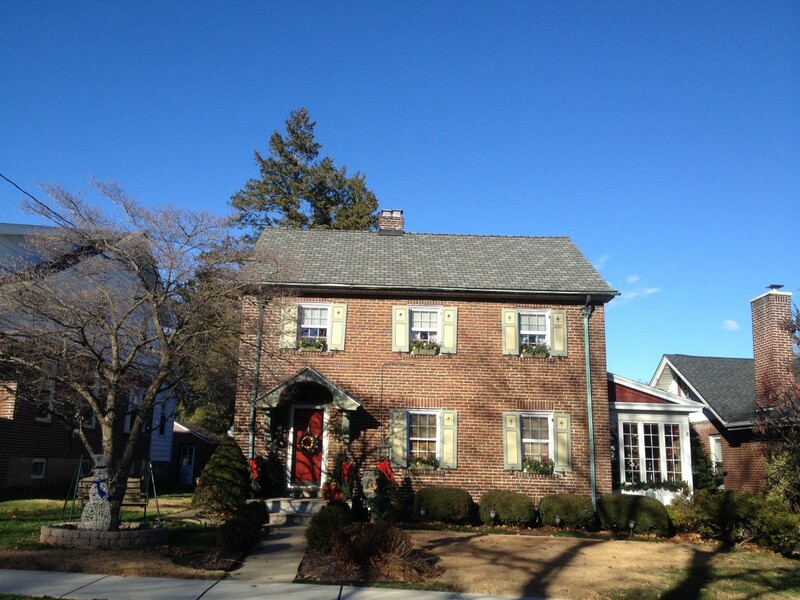 The Williamsburg Slate really brought out the blue shutters and trim. 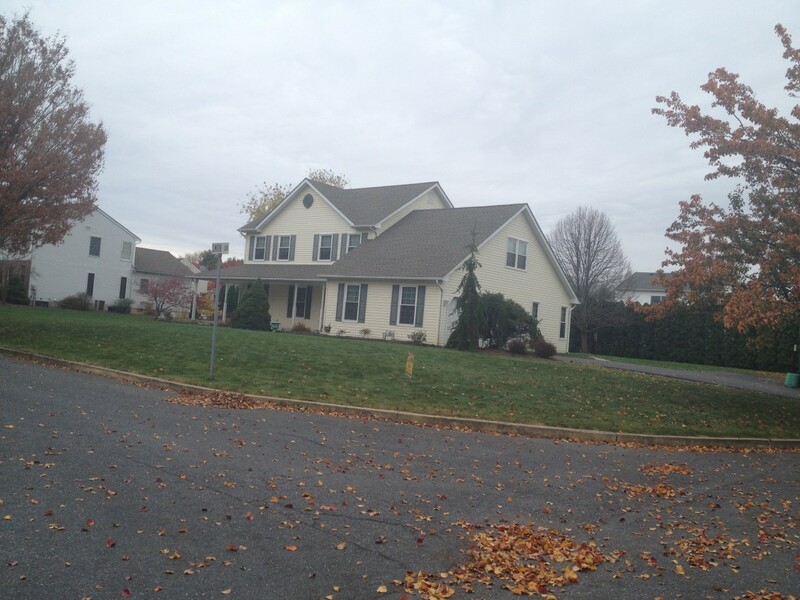 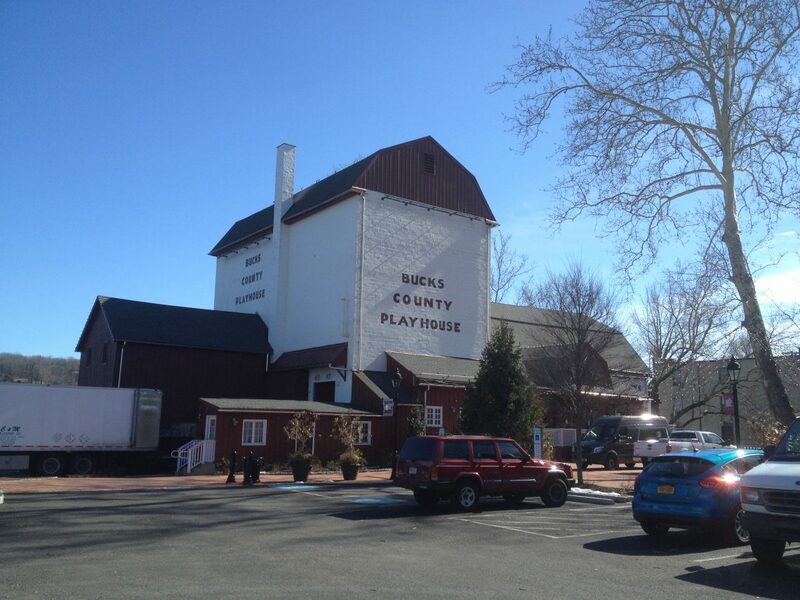 Huge Doylestown Ranch. 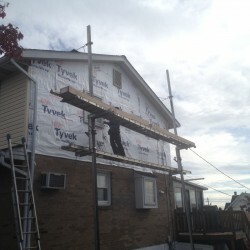 You can see the ice and water shield on the first three feet above the gutters. 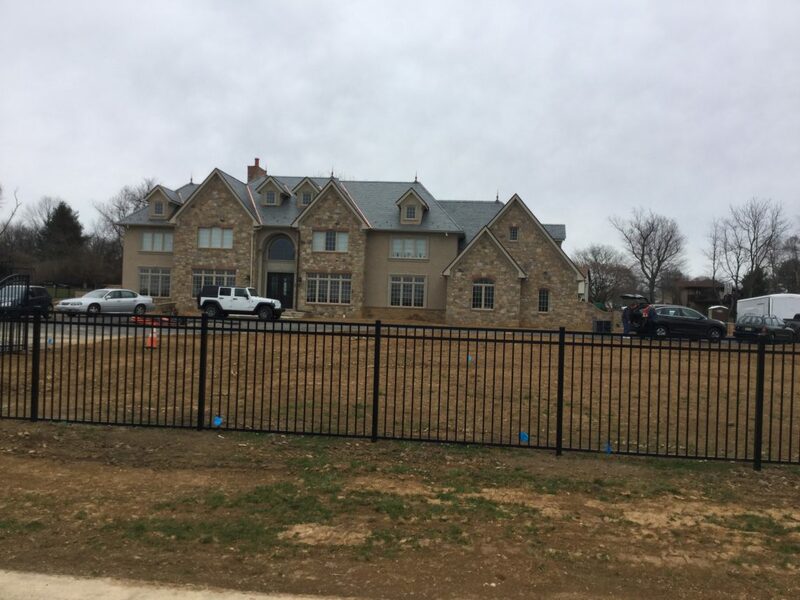 This protects from ice dams. 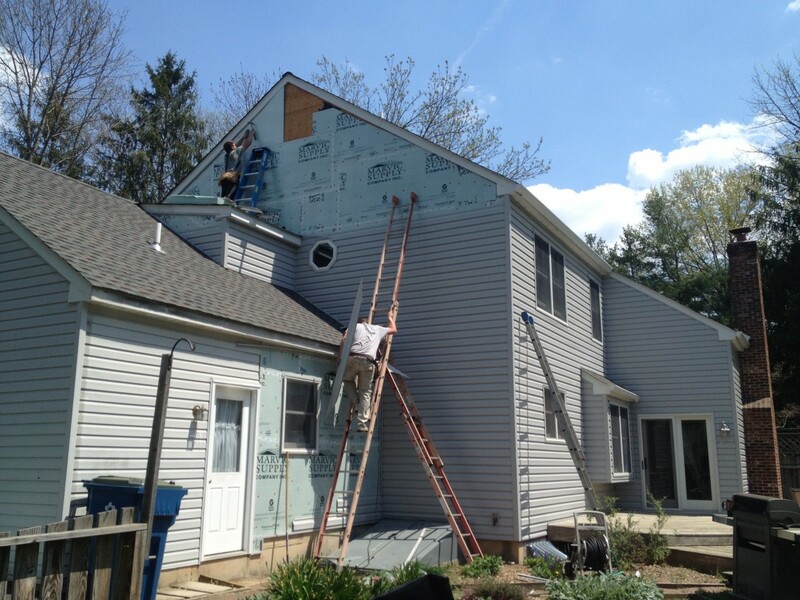 We covered the rest of the house with synthetic underlayments. 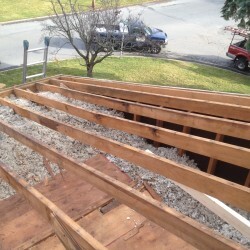 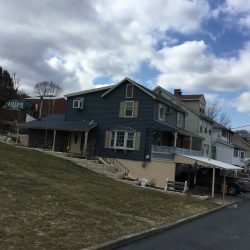 Allentown ranch, full plywood replacement from 3/8 to 1/2 inch. We also replaced a flat rood on the carport attached to the house. 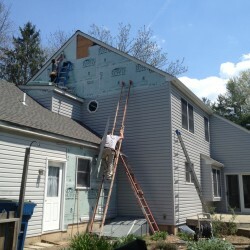 Once again, the best workers ever! 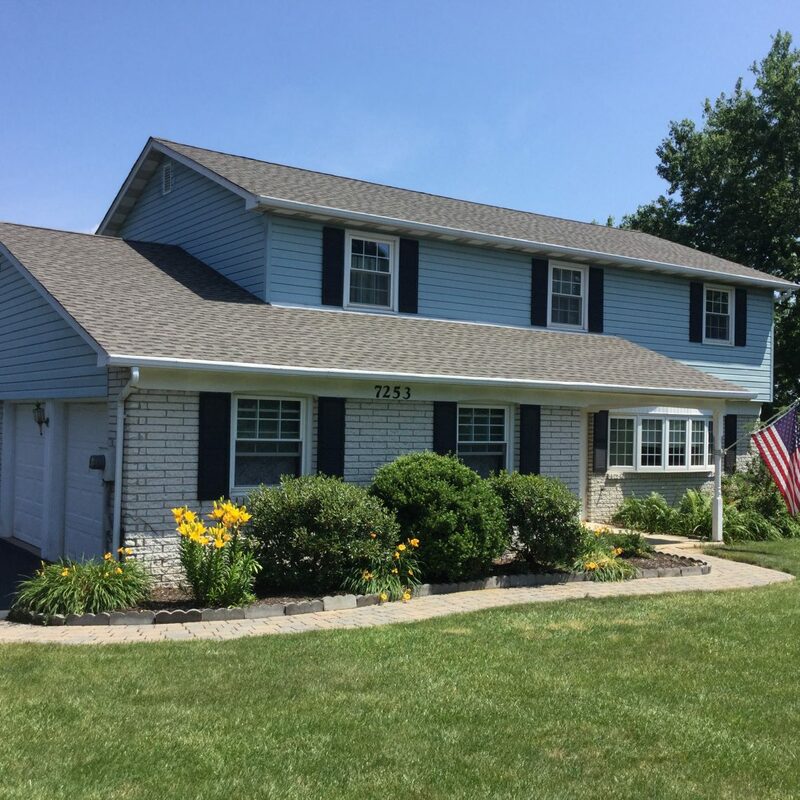 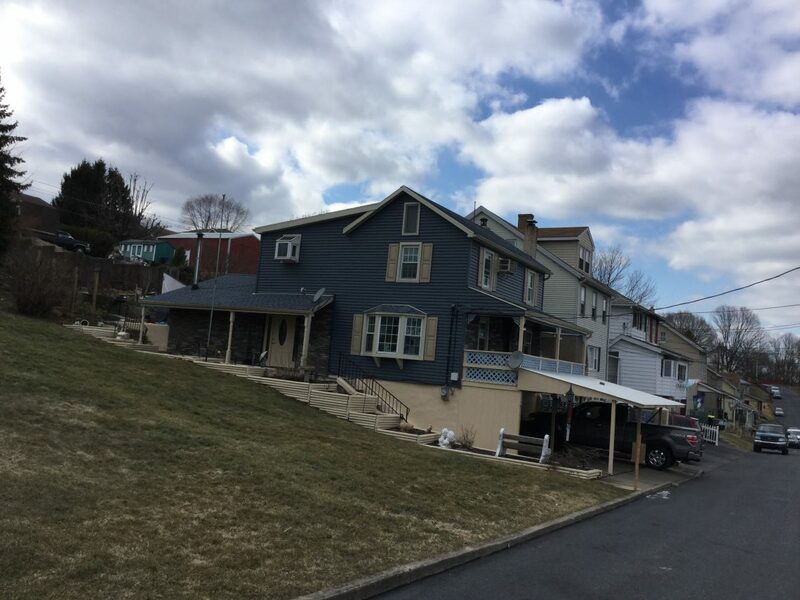 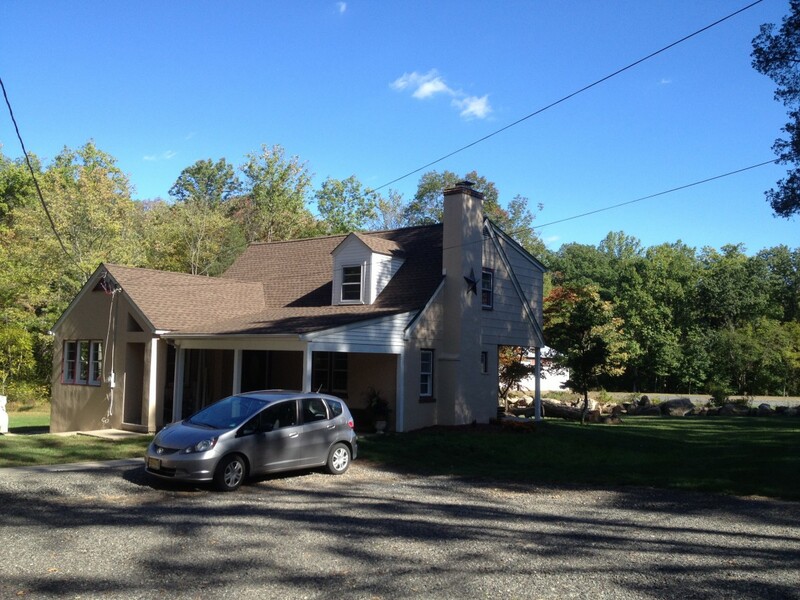 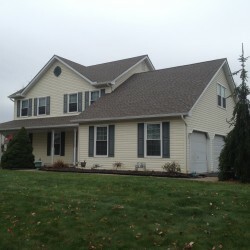 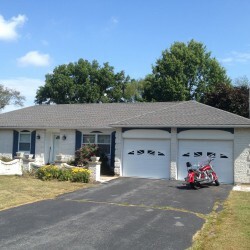 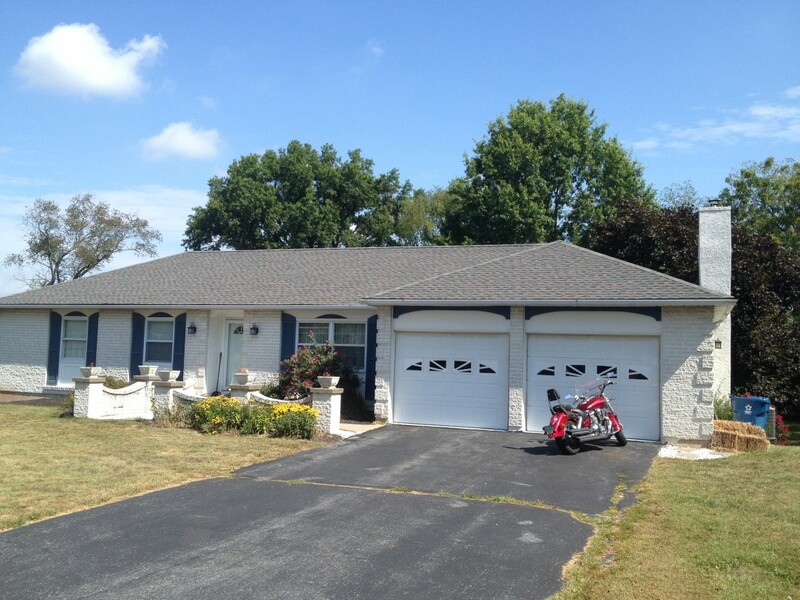 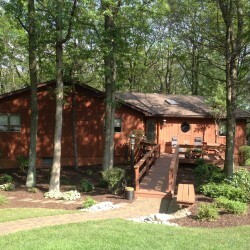 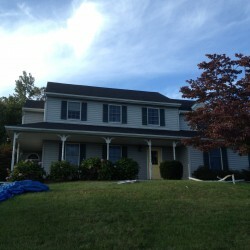 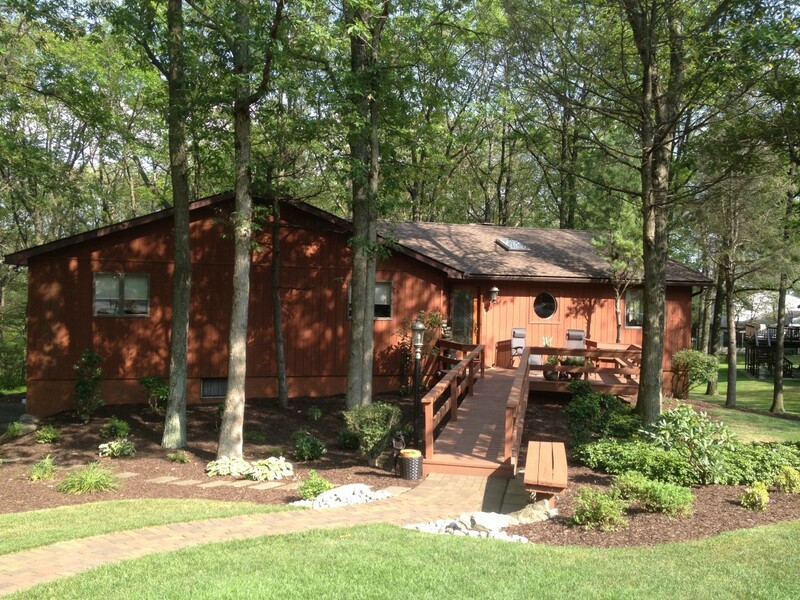 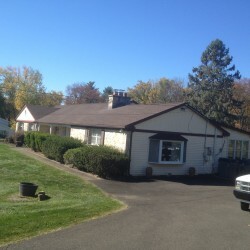 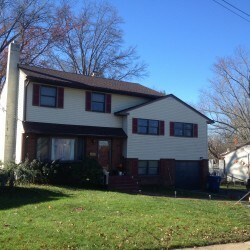 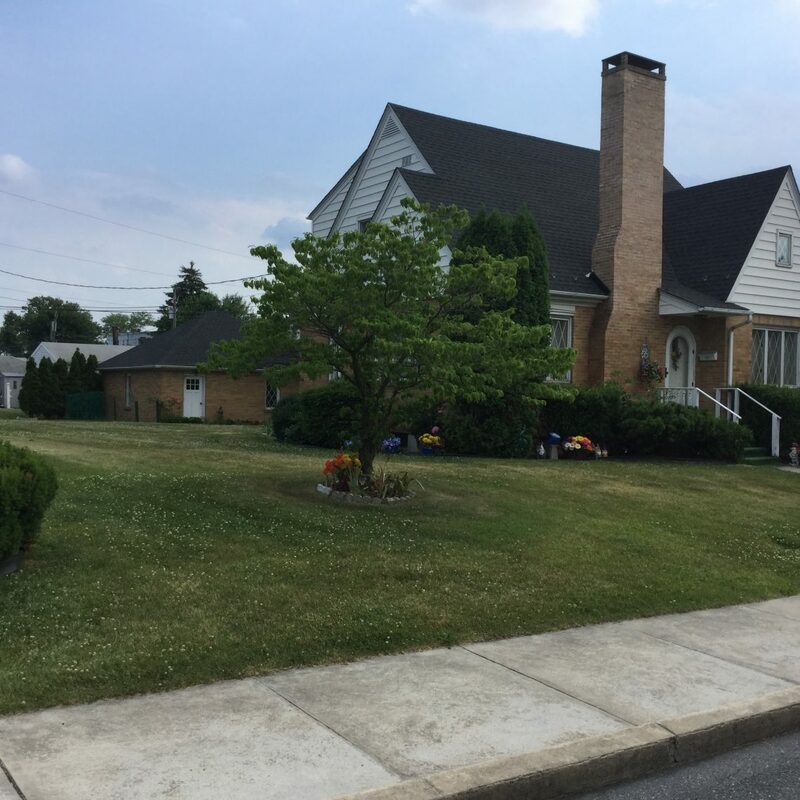 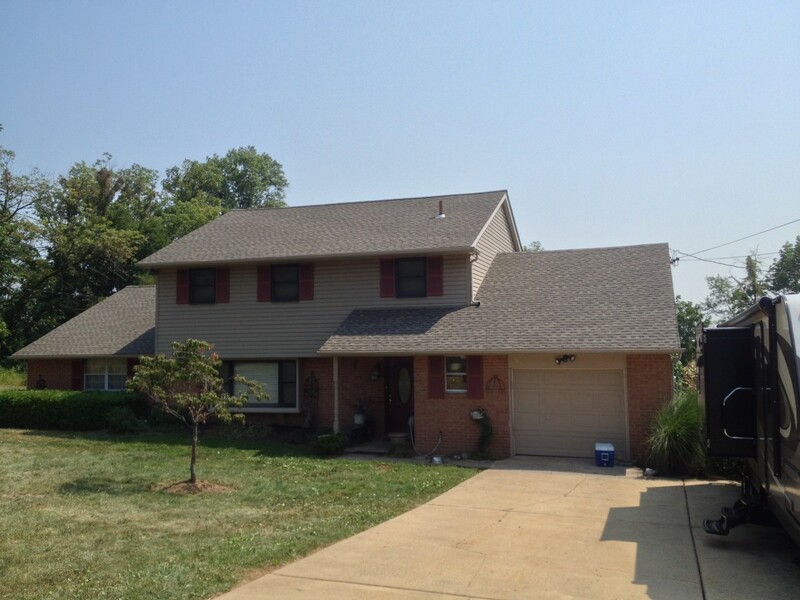 We were able to change the look of this whole house with a new roof, siding, shutters and white corner posts. 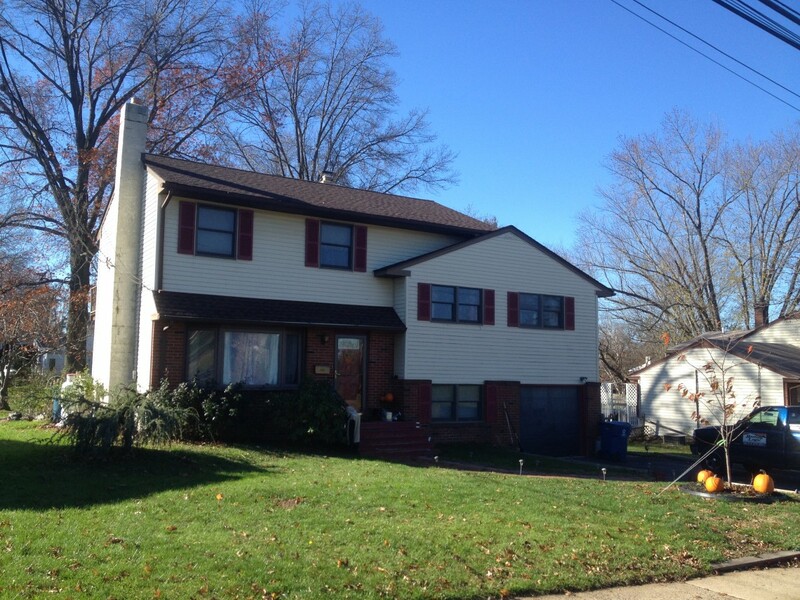 We wrapped all the windows, doors, rake boards in white for a totally updated look. 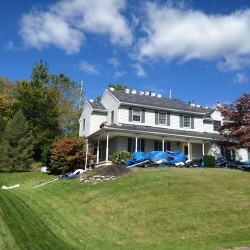 Metal Standing Seam Accent roofs are increasingly popular. 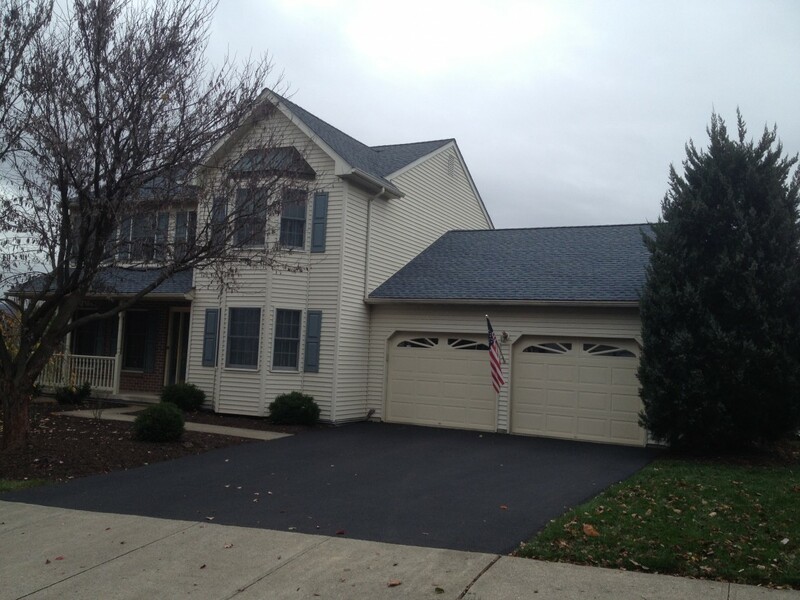 Slate tear off - Replaced with Tamko Metal Works shingle - This is a great slate alternative! 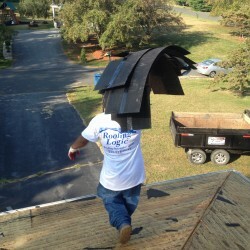 Roofing Logic provides a number of valuable services that help you keep your biggest investment in great shape. 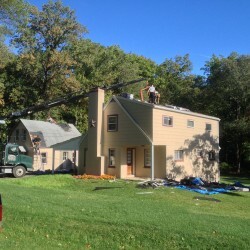 These services can improve the value of the home or business, while also lowering monthly living expenses with better insulation. 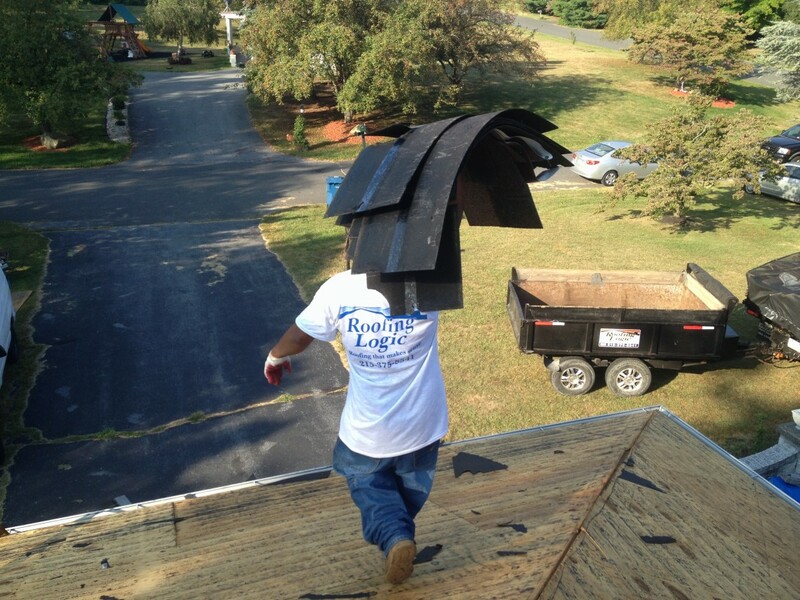 Whether you are building a new construction, replacing a worn out roof or replacing a weather damaged roof, Roofing Logic is well, the logical choice! 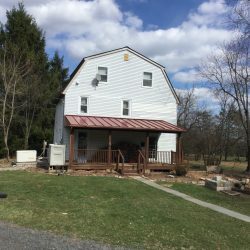 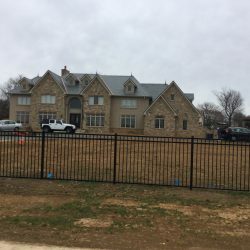 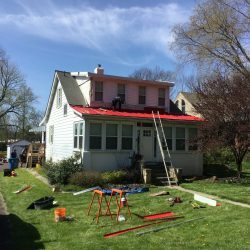 With experience, extensive knowledge of materials and techniques, and great online tools like the GAF Virtual Home Remodeler, Roofing Logic is your best choice for roofing project on your home or business. 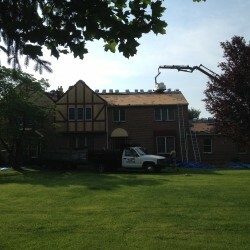 We handle both residential and commercial roofing projects. 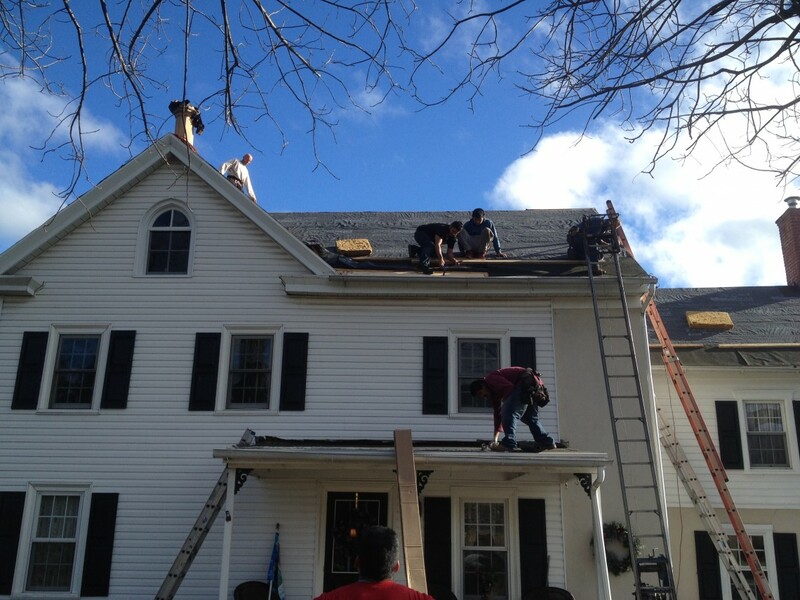 We can install a roof on a new home or an existing home. 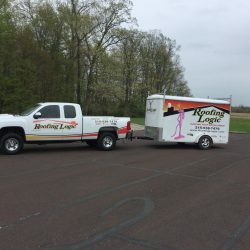 We use the best products. 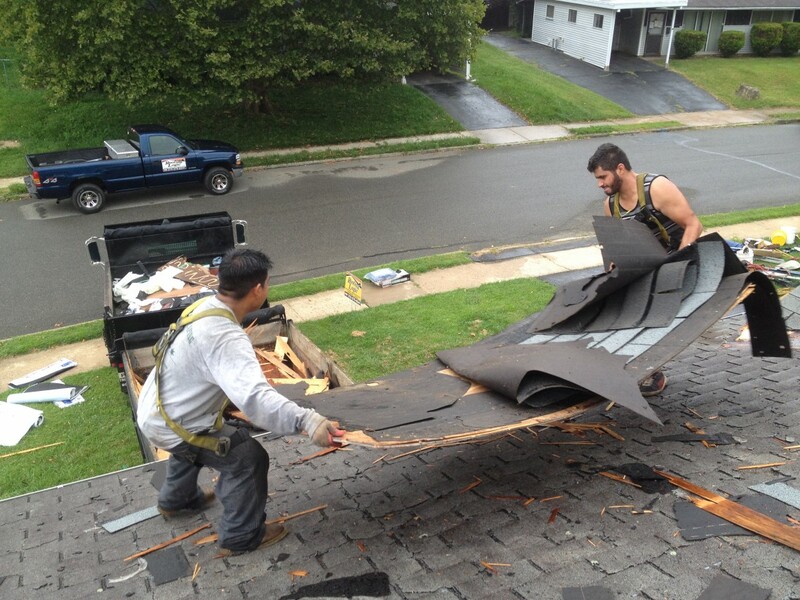 See below for more information on the materials we use. 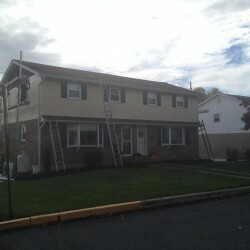 We install new vinyl and replace or repair older vinyl. 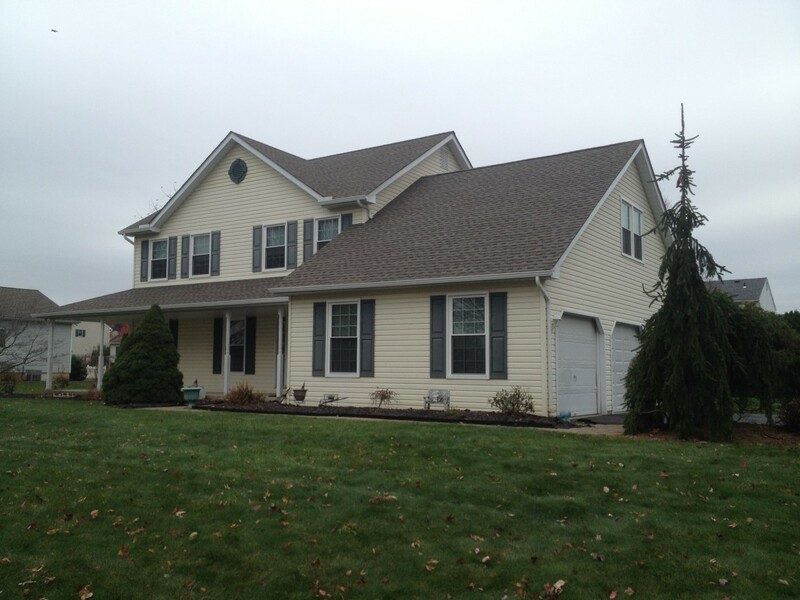 Siding is a cost effective attractive way to update the exterior of your home. 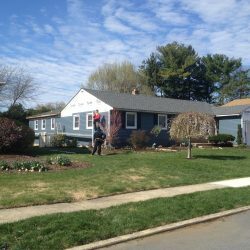 If you need to improve the insulation of your home, replacing old vinyl with a new look is a great time to do this project. 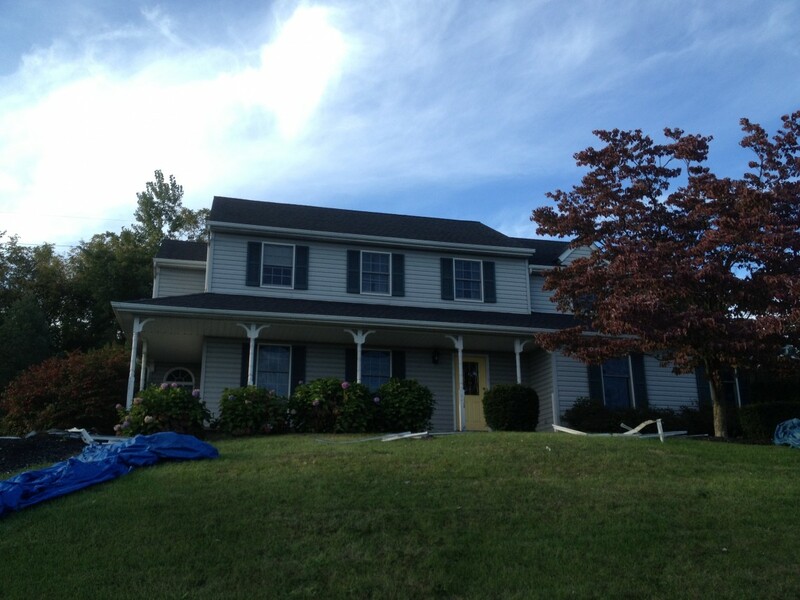 A quality gutter system helps protect the foundation of your home from saturation and shifting over time. 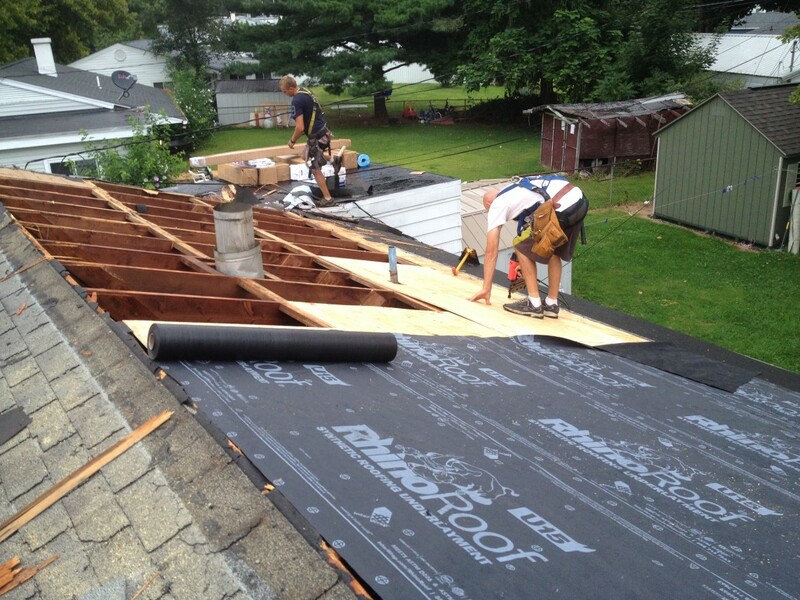 A gutter system also protects your roof from weather damage by keeping the water flowing off the roof. 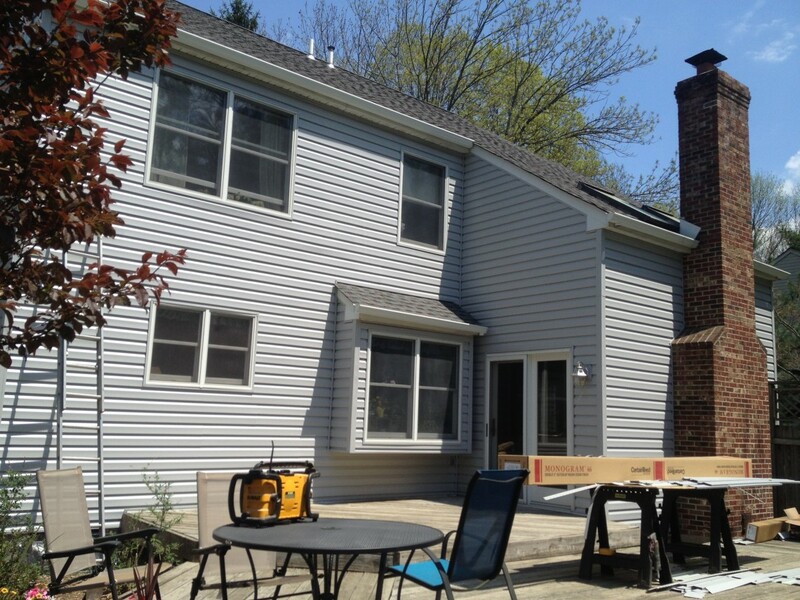 We can install a new gutter system or repair an older system. 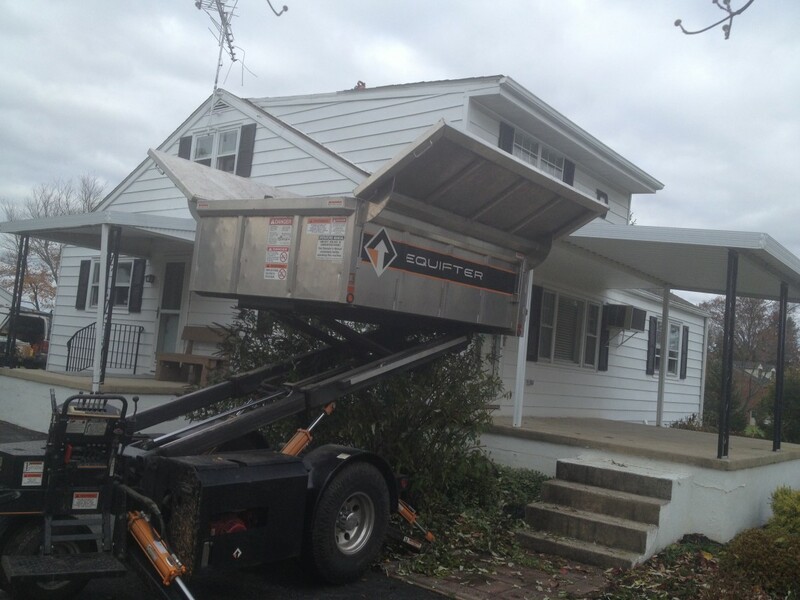 We offer seamless gutters so you never need to worry about seams leaking. 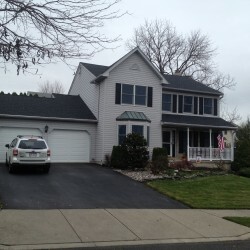 Windows and skylights let the light in so you don’t need as much electricity. 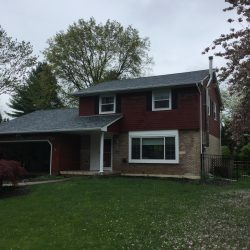 If not properly installed, or if they are old, they can can also let in air from the outside, sending your heating or cooling bills through the roof. 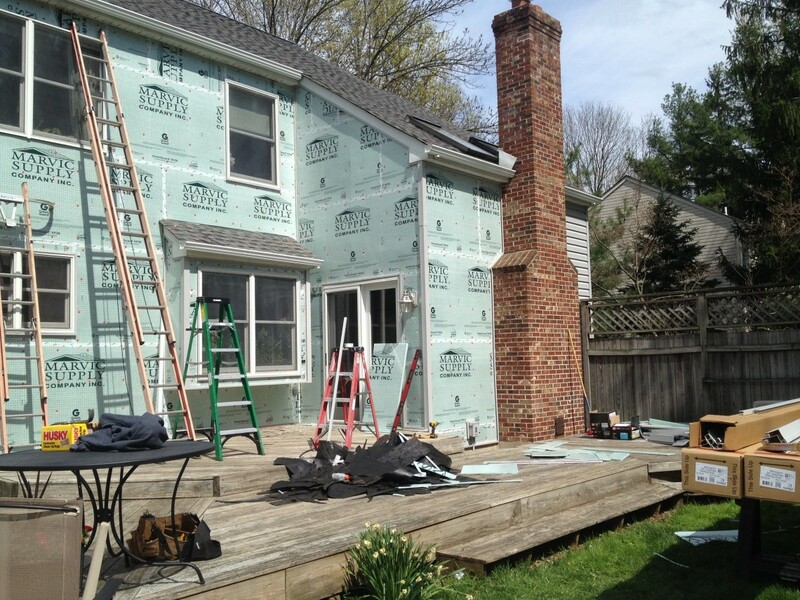 We can install new windows that will help add to your insulation level and brighten your interior. 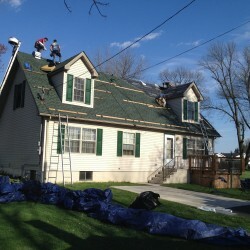 We use asphalt, or composite, shingles that are the most common roofing material in the US. 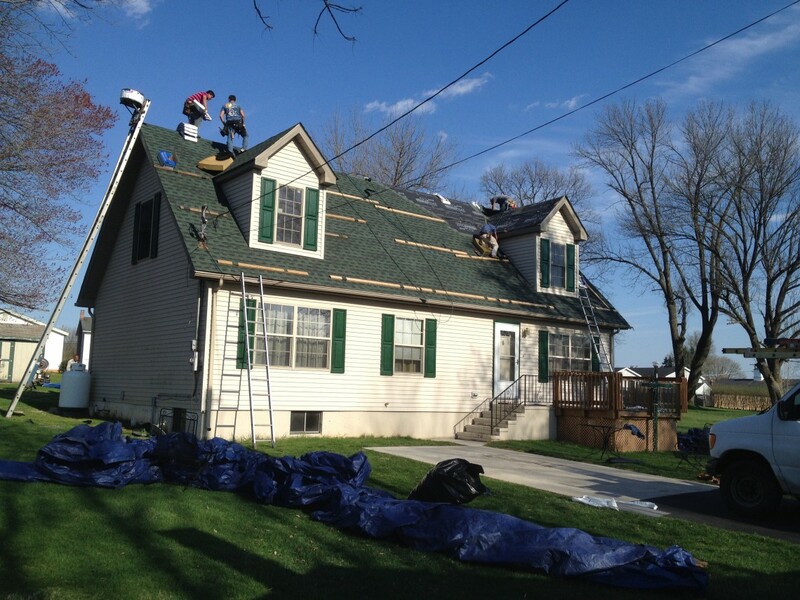 Modern shingles are long lasting and durable, some lasting up to 50 years. 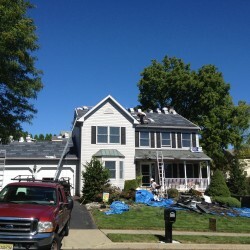 Shingles are available in many colors, so you can add an extra layer of design to the exterior of your home or business. 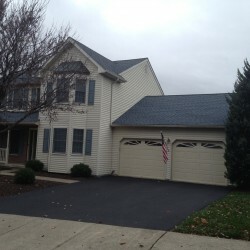 Slate gives a home or business a classic look that no other material can imitate. 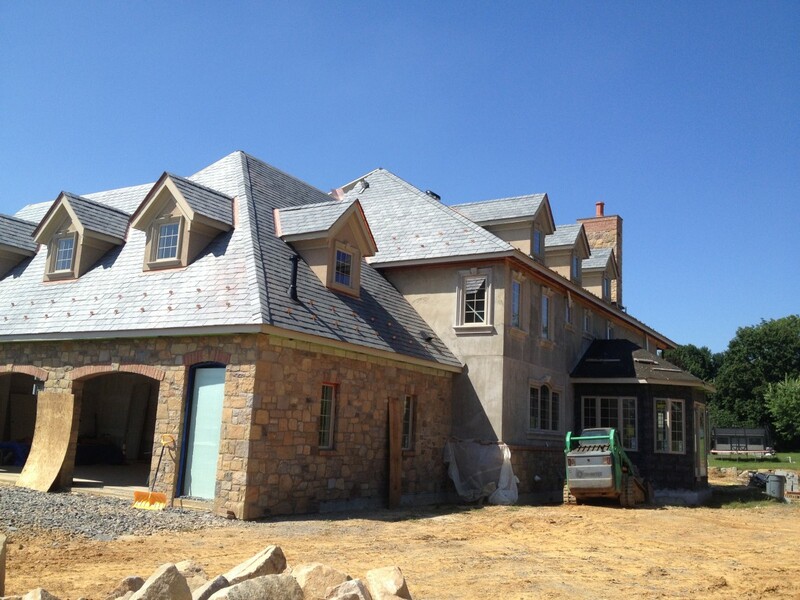 Slate is long lasting. 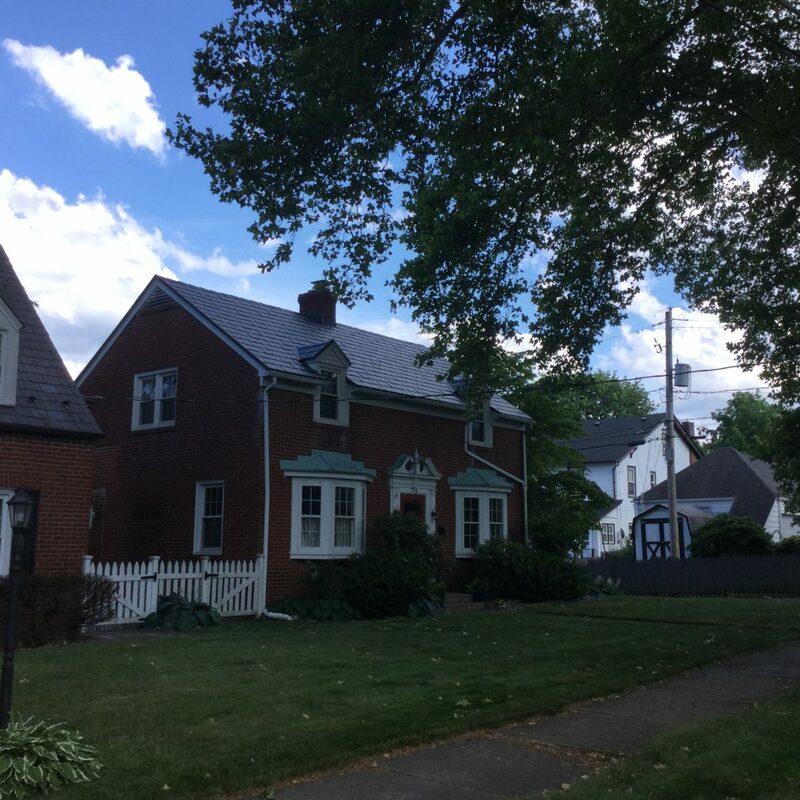 You need only look at European buildings that have had slate roofs for centuries with only minor repairs to see their durability. 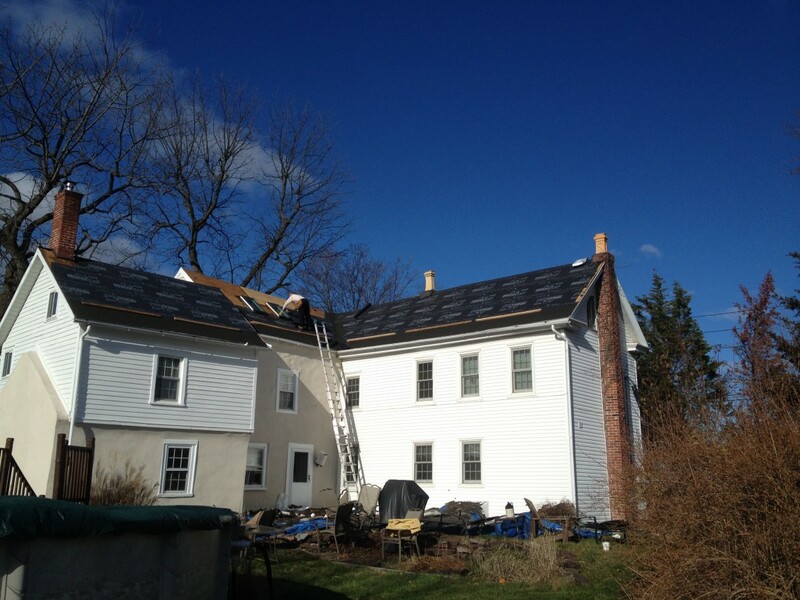 Older homes that want slate installed may need structural reinforcement before installation. 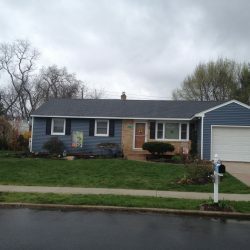 Slate is available in a variety of colors. 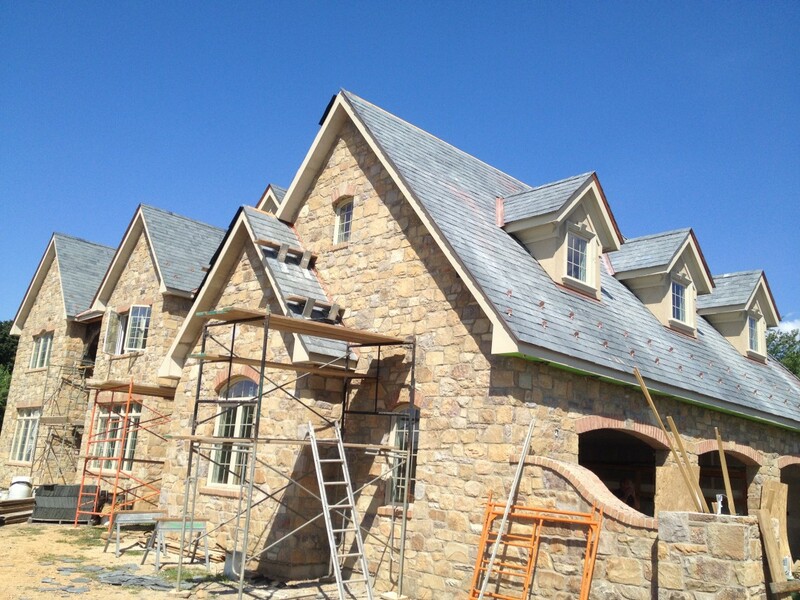 The look and durability of natural slate without the weight, which makes it perfect for older homes or buildings. 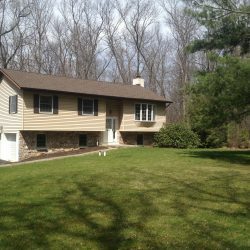 With a variety of colors to choose from, you can achieve a slate look at the fraction of the cost of either natural slate or wood shake. 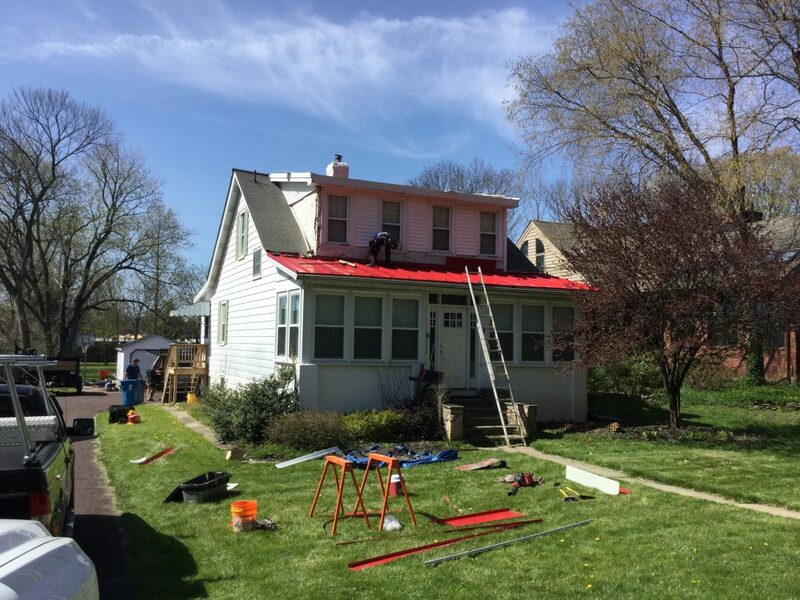 Get a contemporary look with a metal roof on your business or home. 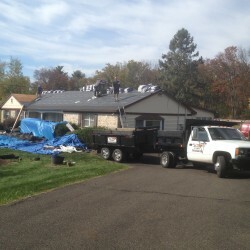 Metal roofs are fire resistant, lightweight and durable. 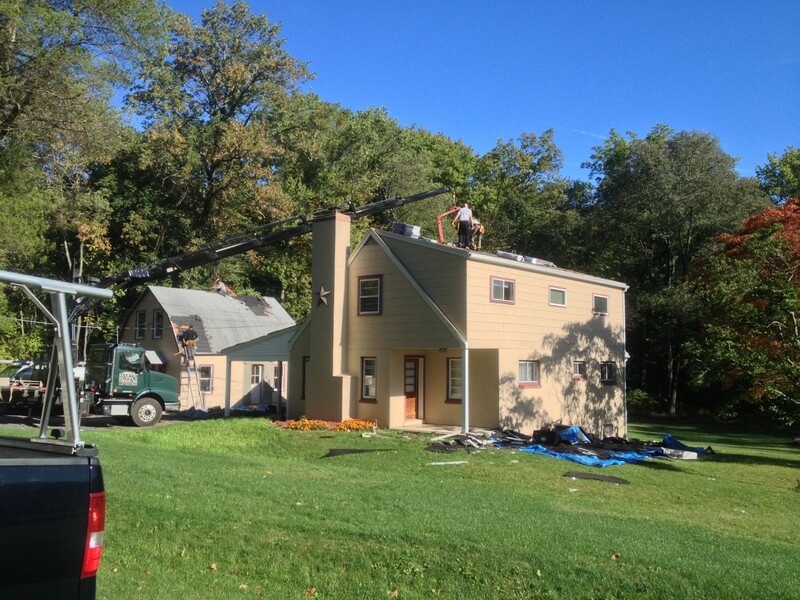 They make a great addition to your insulation. 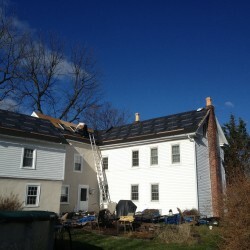 They reflect sun in the summer and insulate against the cold in the winter. 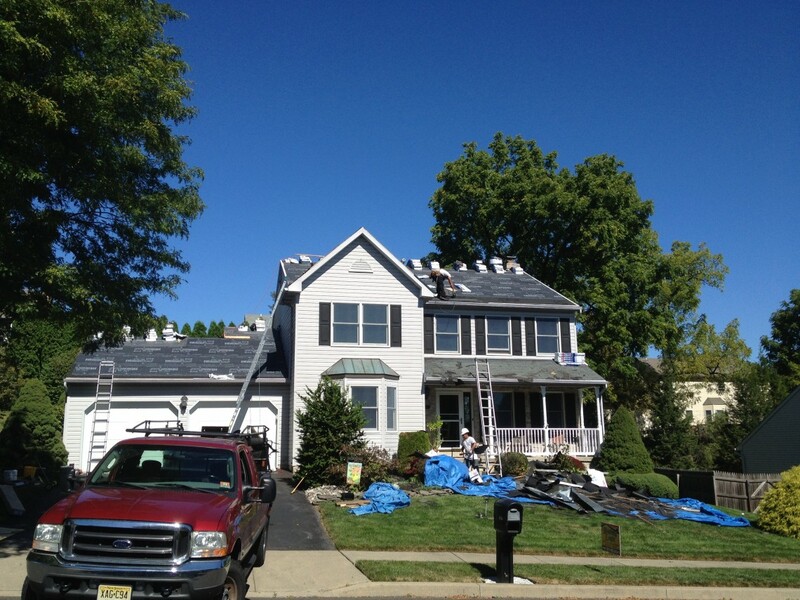 Call Roofing Logic for your next roofing, siding, window or gutter system project. 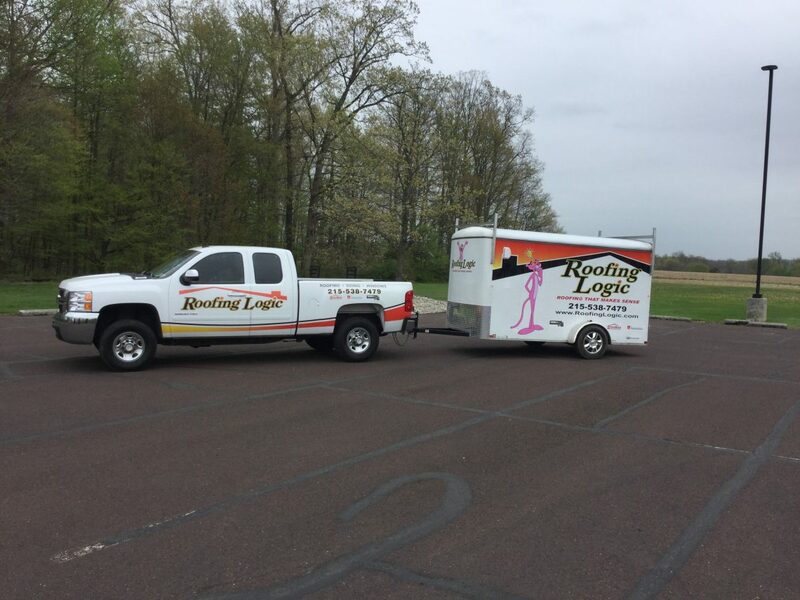 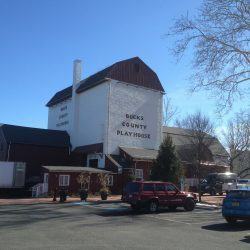 We offer our services in the area northwest of Philadelphia, including Bucks County, Montgomery County, Northampton County and Lehigh County. 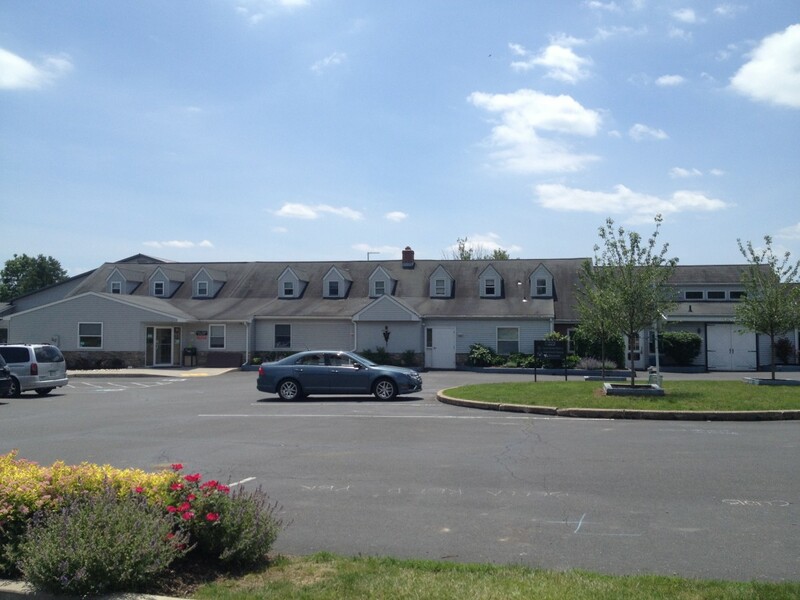 For a complete list of areas we serve, click here. 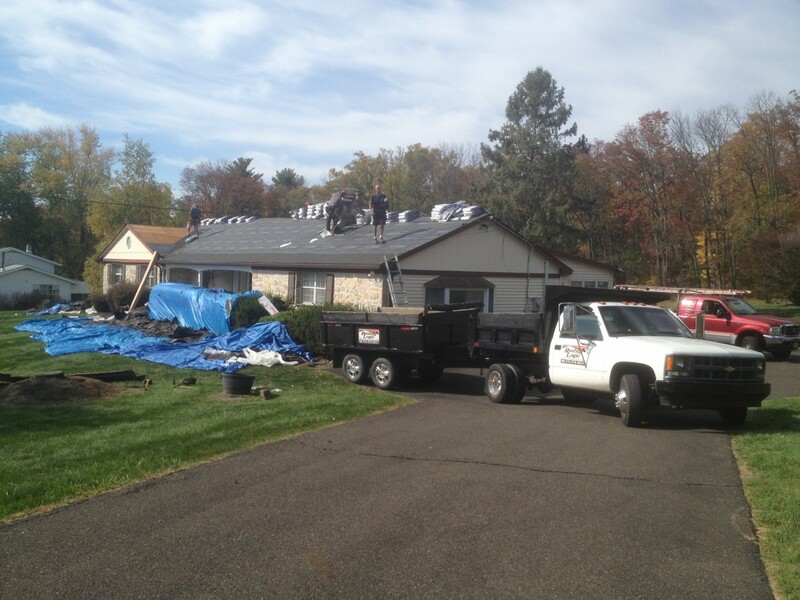 Call today or sign up below for a Speedy Fast Quote.